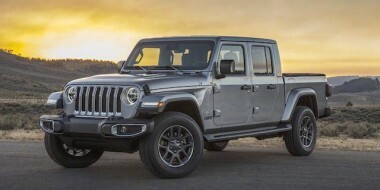 Jeep has just released the first official photos of the JL-generation Wrangler, ending many months of speculation about whether the new model would be radically different from its predecessors. 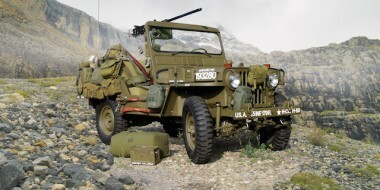 Clearly it’s not – Jeep was never going to monkey around with the design of the iconic off-roader. But it has made some classic changes that Jeep fans have been calling for, like the flatter mudguards and the hinged windscreen, for instance. Also, the windscreen looks to be angled back further, and the front end has been given a more refined look. The new model will go on sale in New Zealand next year. Only a few weeks ago the owner’s manual for the 2018 Wrangler found its way on to the internet. 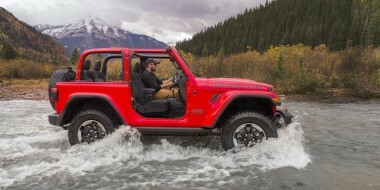 Jeep observers in the United States expect engine options to run to four to cater for different global markets – a reworked version of the current 3.6-litre Pentastar V6, turbodiesels of 2.2- and 3.0-litre capacity, and a boosted 2.0-litre petrol four-cylinder. The JL Wrangler will go public at the Los Angeles motor show later this month. Also doing the rumour rounds is the name of the pick-up, to be built on the four-door platform. It is claimed Jeep will resurrect the name Scrambler, last used on a pick-up of sorts in the early 1980s. Aug 22 | New Benz C-Class: can it change luxury pecking order in NZ?